A Fun & Unique Corporate Team Building Event! 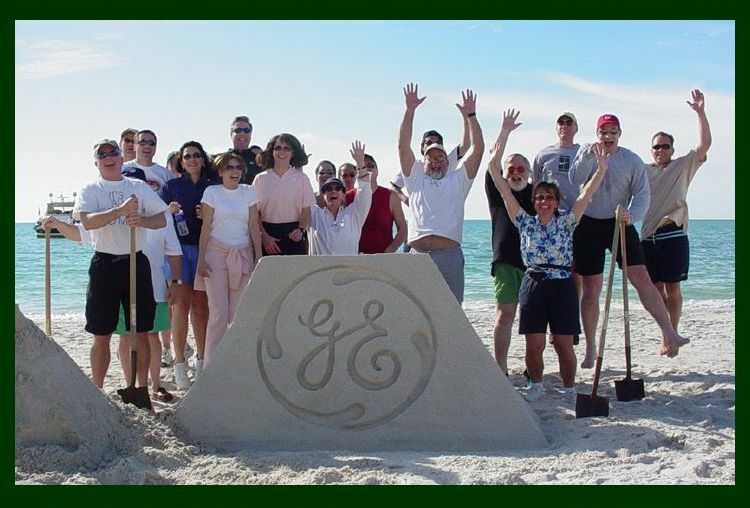 Our exciting and creative group programs stimulate corporate camaraderie, open-minded learning, and team development ! ...all cleverly disguised as fun. 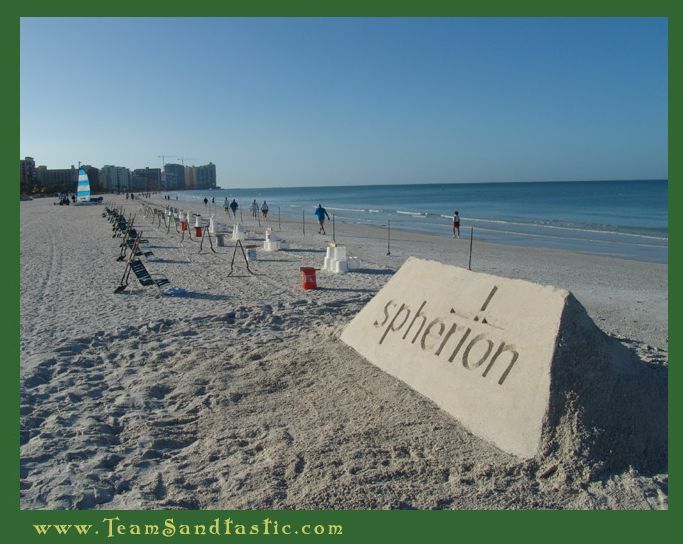 Click here for a full look at the Morrison Homes event on Longboat Key.. 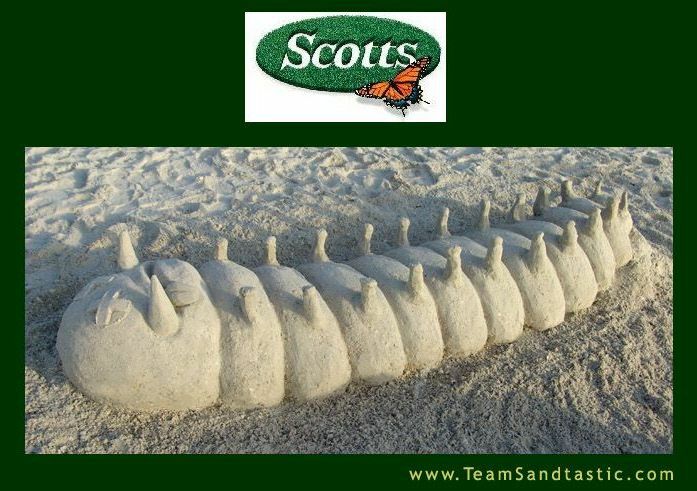 Team Sandtastic sand sculpting classes are designed to motivate people through shared goals, the experience of high-profile success, and recognition for individual contributions to that success. Choose from one of our standard programs, or share your ideas and let us design a custom themed program just for you! 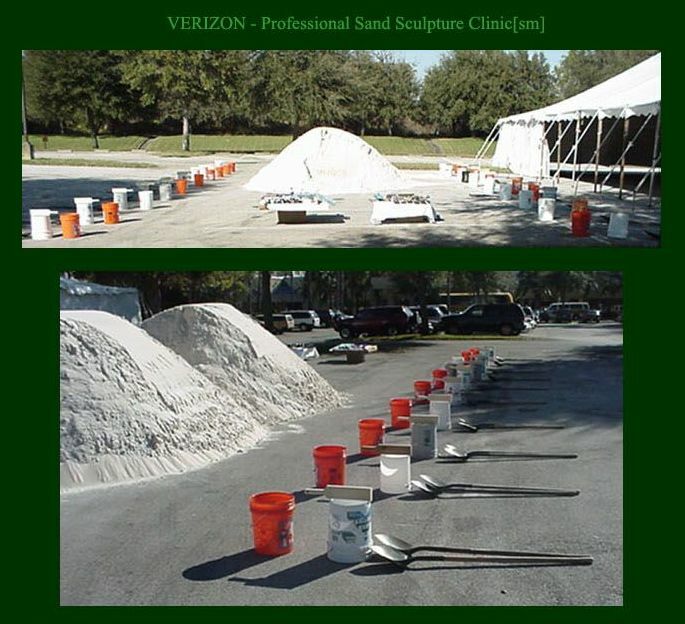 Click here for a full look at the Fawcett Memorial Hospital event on Longboat Key..
Click here for a full look at Verizon in Orlando, Florida..
You choose the level of physical and/or intellectual challenge that is appropriate to the abilities and goals of your group. 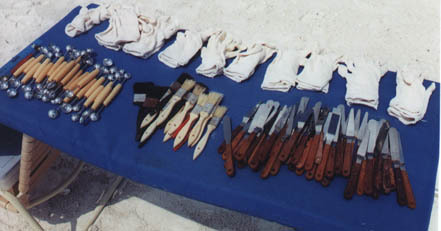 These are the detail carving tools. 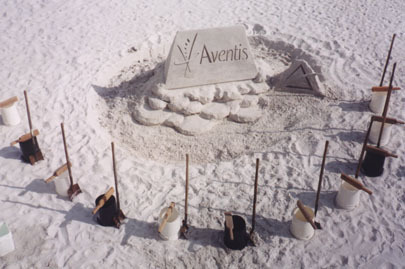 We provide a full line of Professional Sand Sculpture Tools for your guests. 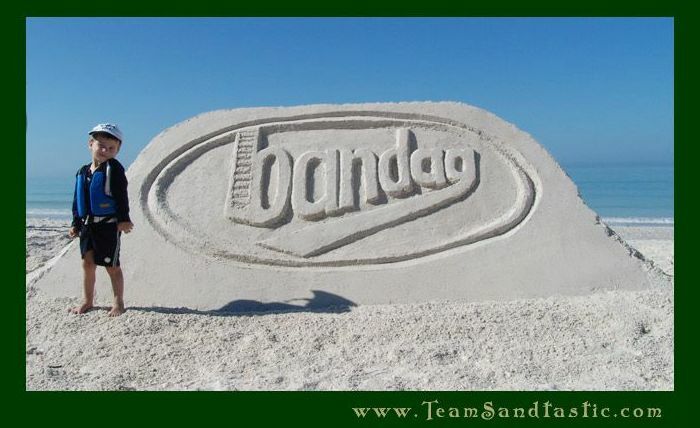 We have a variety of Florida locations to choose from. We also offer the flexibility to custom design programs at worldwide locations of your choice. Participants develop bonds that transcend the program, leading to more cohesive work teams. 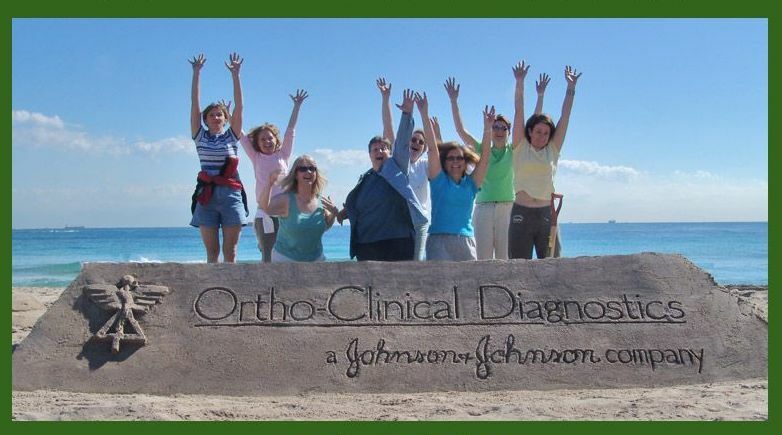 We take groups outside their normal work environment and help them learn to take risks and work together. 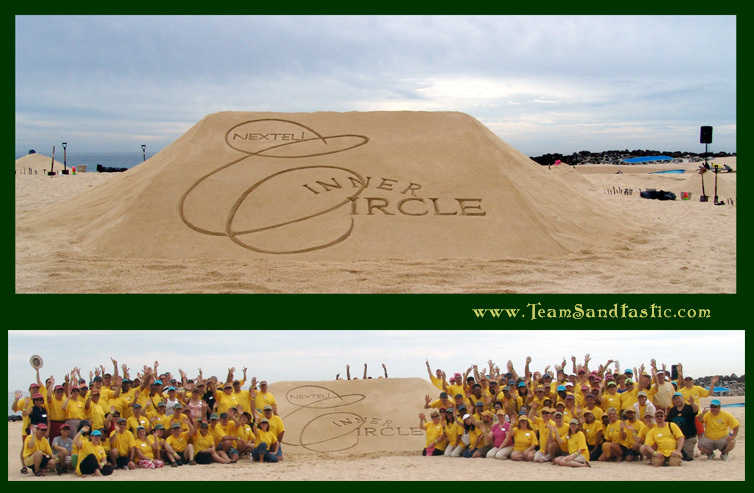 A team-building event of 350 international employees from Arrow Electronics builds a sand city in Atlanta! all-the-while providing time for business-focused dialogue, networking and relaxation. Take your design from concept to reality in one of our "Group Carve" events. This is where groups work together to build a singular structure. We deliver custom-designed learning experiences that focus on the leadership and team skills essential to business and team success. 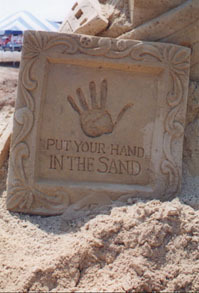 A typical Sand Sculpture Clinic[sm] lasts two hours and can be tweaked to be from one to four hours. Each program begins with an introduction of the sculptor/instructors and moves to a discussion of the specific skills we'll be working to develop, assignment of tasks to be completed, and then the majority of the time is spent putting the concepts into practice and receiving feedback from within the team environment. We conclude each program with a discussion of how each team coordinated their efforts, applied their learning to the activity, and how these new skills and learning apply to the workplace. 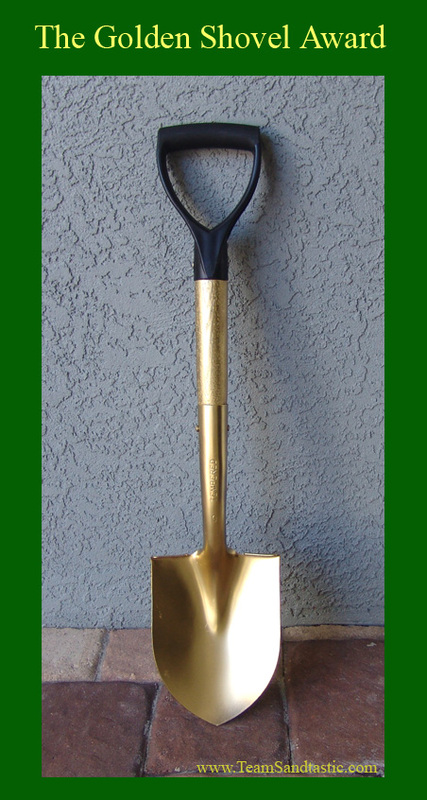 Have your younger guests learn the "Tips, Tricks, Tools, and Techniques" of our unique sand process. We've honed our skills teaching our hands-on program to thousands of adult guests as a core opening program at the "Disney Institute" in Orlando, Florida. 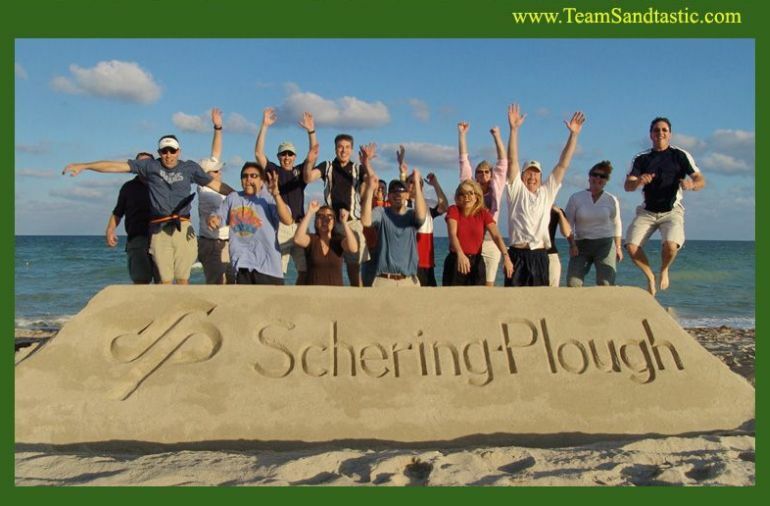 Over 15 years of professional sand sculpture experience across the globe coupled with strong business and interpersonal skills uniquely qualifies our faculty to design practical, results-oriented programs. Our professional sculptor/instructors provide all necessary equipment to have your guests enjoy a fun, unique, and very photogenic team building experience..
"Hi Mark, thanks for the photo's. Everyone was very enthusiastic about the event. 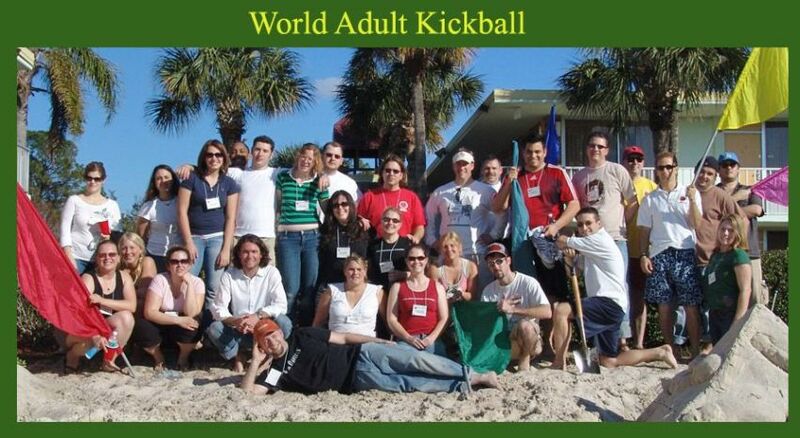 I even got the comment that this was the best and most fun team building event one attendee had ever done! From my perspective it was great as well: A very unique and fun way to build team work. 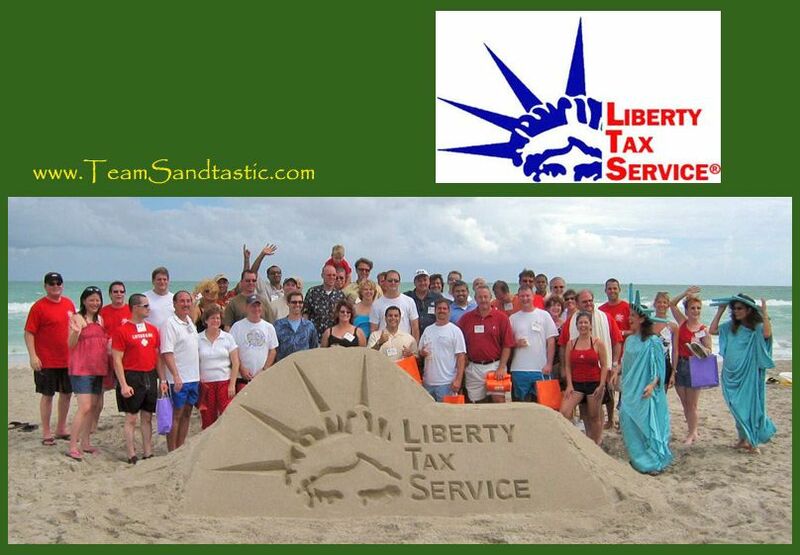 What better way to get people to work together and have fun than playing in the sand. Lot's of smiles, lot's of laughs and a great unique shared experience for the team to build upon. Thanks again for a great event." 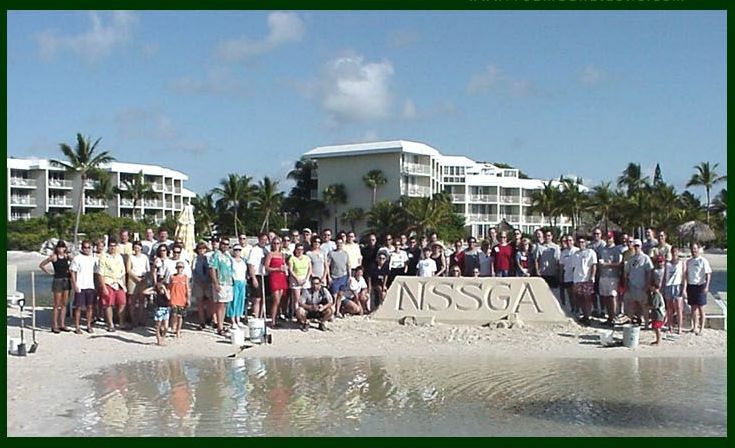 W. L. Gore & Assoc., Inc.
Past Corporate Team Building sites around the globe include: Hawaii, Maui, Honolulu, Bahamas, St. Thomas, St. Croix, Cabo San Lucas, St. John, St. Lucia, Bermuda, Turks & Caicos, Dominican Republic, Casa de Campo, Bahrain, Kuala Lumpur, California, San Diego, Los Angeles, San Francisco, Atlanta, Georgia, Club Med's worldwide...etc..
" Innovative, fun and effective team building activities for memories and results that last! " 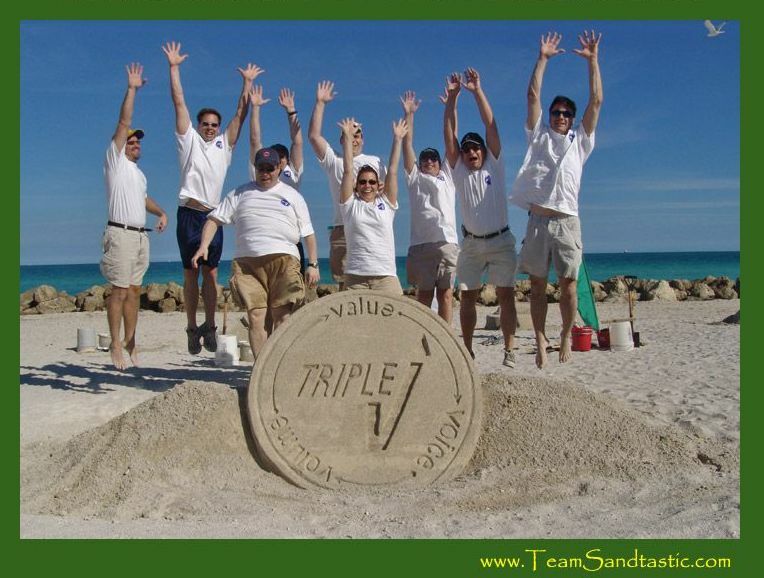 Let Team Sandtastic provide the "Edu-tainment" for your next event.